This lube plate allows your fifth-wheel trailer's king pin to slide easily into the hitch and prevents scratches on your skid plate. It also reduces irritating noises associated with fifth-wheel trailering. Fits over a 2-7/8" king pin. Call 800-298-8924 to order Lippert Components accessories and parts part number LC286160 or order online at etrailer.com. Free expert support on all Lippert Components products. 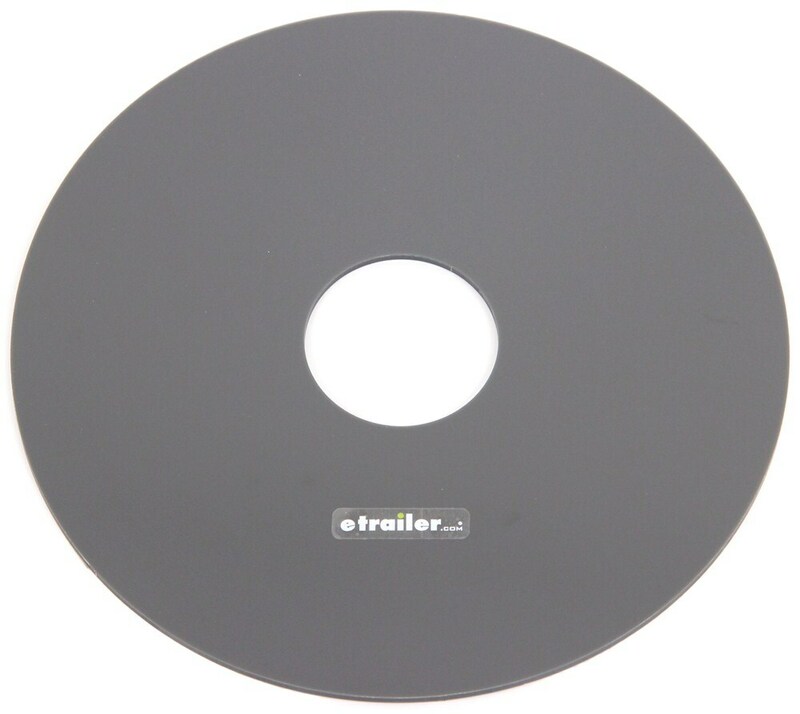 Guaranteed Lowest Price and Fastest Shipping for Lippert Never Fail Whisper Disk Lube Plate for 5th Wheel Trailer Hitches - 11-1/2" Diameter. Accessories and Parts reviews from real customers. Today we're going to review part number LC286160. This is the Lippert never fail whisper disc lube plate for fifth wheel trailer hitches at eleven and half inch diameter. This lube plate will allow your fifth wheel trailers kingpin to slide easily into the hitch. It does prevent scratches on the skid plate. There's no need for any messy grease. This will help reduce the noise between the skid plate and the kingpin on your trailer, and this is designed of an extra durable modified polyamide construction. This will out last your standard Teflon lube plates. Does install very easily; you just slip it over the kingpin. This part is made in the USA. Again just to give you an idea, this is what your kingpin would look like on your fifth wheel trailer. What you would do is just slide this up over your kingpin, and then when your kingpin installs into your fifth wheel trailer hitch this plate will be between the pin box and the fifth wheel head to give lubrication and protection. A few measurements on this. The over all diameter is going to be eleven and half inches, and the thickness is going to be right at three sixteenths of an inch. That should do it for the review on part number LC286160. This is the Lippert never fail whisper disc lube plate for fifth wheel trailer hitches at eleven and half inch diameter. .
Order: RelevanceNewestRating - High to LowRating - Low to High This lube plate allows your fifth-wheel trailer's king pin to slide easily into the hitch and prevents scratches on your skid plate. It also reduces irritating noises associated with fifth-wheel trailering. Fits over a 2-7/8" king pin. Works great other then still held on with tape. Replaceing pen box soon maybe new pen will not need tape to hold on. It was a frustrating waste of money and has since been replaced with another brand. There is a lube plate you can use with B&W 5th wheel hitches but Lippert lube plate # LC286160 is just a smidge too large for B&W hitches. 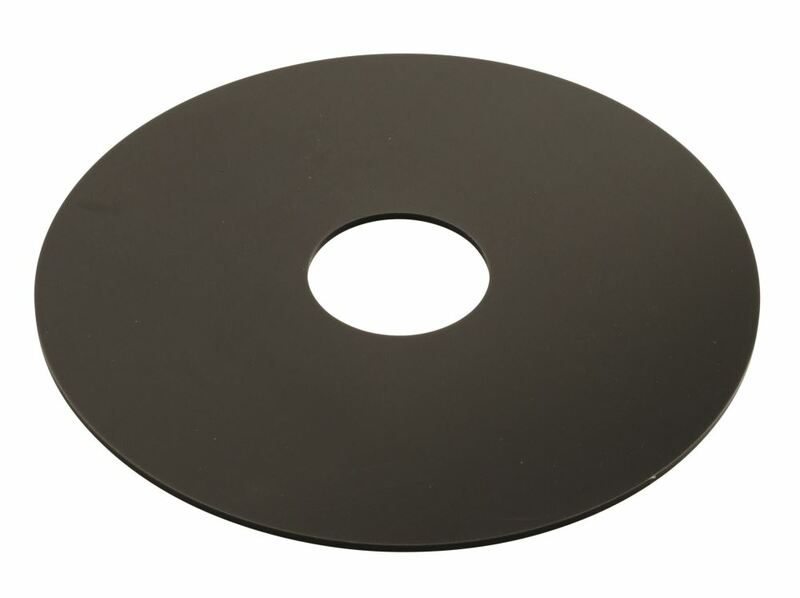 Instead you can use the Reese lube plate # RP83002 which has a 10 inch diameter. I have linked a video review of it for you. Sounds like yesterday you were recommended the use of the Curt 10 inch disc part # 16721 with your Curt Q20 fifth wheel hitch and now you want to use the # LC286160 instead. There really is no reason you couldn't use the # LC286160. 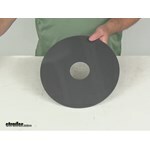 It has the same thickness as the Curt and would just be a little bit larger in diameter. For a B&W Companion hitch I recommend using a 10 inch diameter lube plate. We have the Reese Lube Plate, # RP83002, which is my top choice, and the Curt 10 inch Fifth Wheel Trailer Hitch Lube Plate, # 16721, both of which will work nicely with your Companion hitch. This will work well with your Trailair pin box as well. The Lippert Never Fail Whisper Disk Lube Plate for 5th Wheel Trailer Hitches # LC286160 should not need to be moved by hand while hooking up. I recommend getting a different lube plate like # RP83002 to try to get a better fit around your king pin since there really isn't a good way to secure the plate to your pin box or king pin and still make it function correctly. 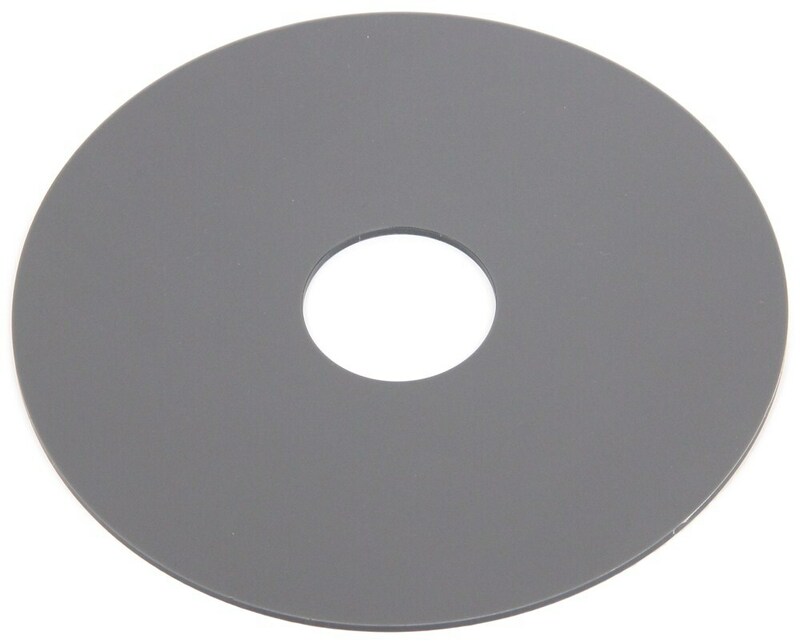 The Lippert Never Fail Whisper Disk Lube Plate, part # LC286160 will work with all Trailair pin boxes. You do want to make sure it will work with the fifth wheel hitch you have as some of them have specific lube plates they work with.